Celebrate XMAS or New Year in a white winter wonderland! You will be mushing your own dogteam on daytrips, coming back to the kennel most nights. We’ll be sleeping over in a wilderness cabin one night as well. Dates: 23-27/12/2018; 29/12/2017-02/01/2018 CHECK AVAILABILTY HERE! Spend a couple of days at our kennel to experience proper winter and enjoy the holidays, right here on the Arctic Circle in Swedish Lapland. 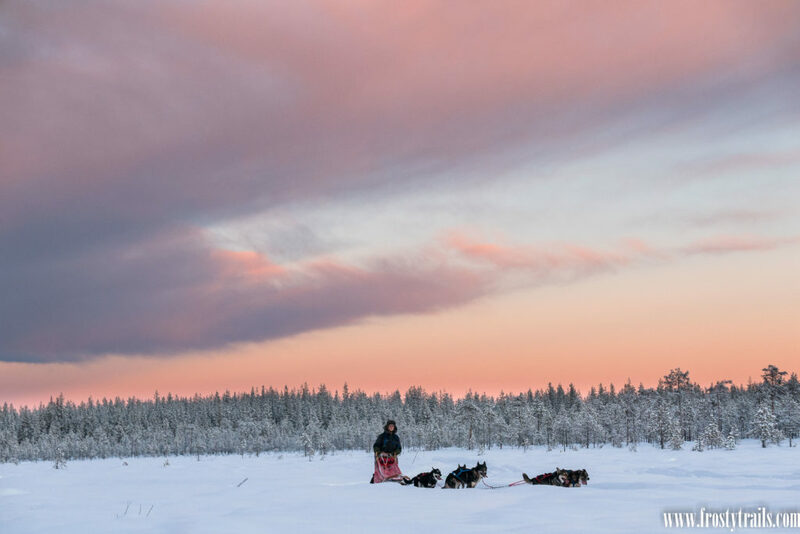 You will enjoy the fantastic winter landscape from the back of a dogsled, driving your own team of huskies. 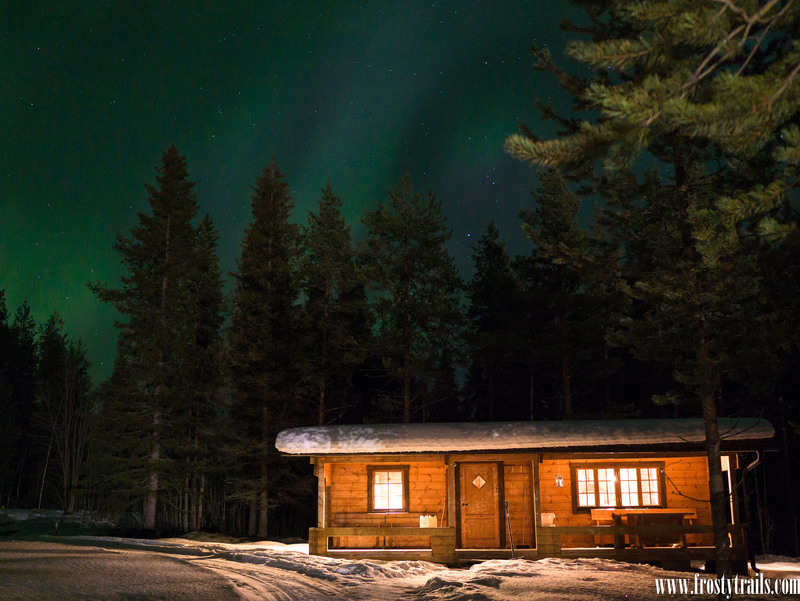 Most nights we come back to the log cabin right besides the kennel, to enjoy a well deserved sauna and a good dinner.We also spend one night out in a wilderness cabin, where we’ll keep an eye out for the northern lights. On Christmas eve and New Year’s eve we’ll serve an extra nice three course dinner, to celebrate the occasion! There is an option to experience Sami culture and learn about the life of a reindeer family. Price includes: Mushing your own dogteam; Overnight trip with dogsled; Stay in a logcabin with a sauna; All meals; Use of warm clothing and boots. Level: No previous dogsledding required; Normal level of fitness.